Jean-Marie Le Pen, the founder of France’s National Front (FN), has announced he is pulling out of regional elections amid a row with his daughter Marine Le Pen. Marine Le Pen, who now leads the far-right party, condemned her father for his recently repeated claims Nazi gas chambers were a “detail of history”. 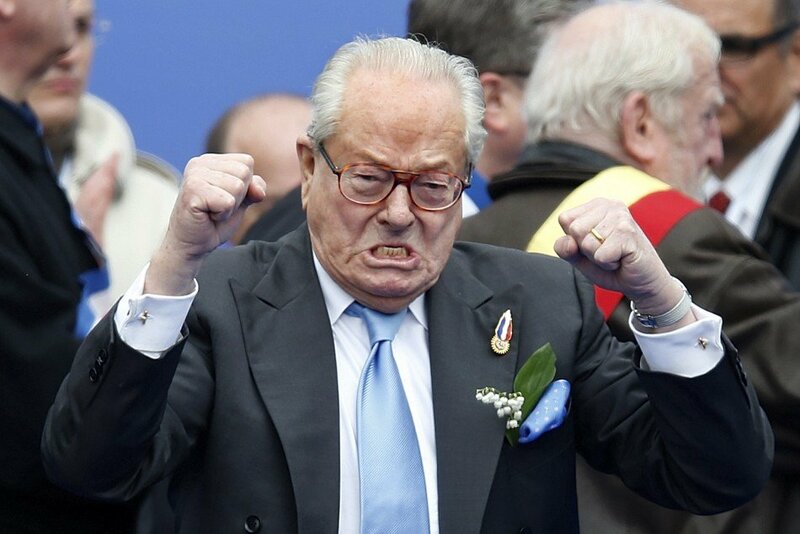 Jean-Marie Le Pen told Le Figaro newspaper he would not be standing in the south-eastern Paca region. But he said he thought he was “the best candidate for the National Front”. Jean-Marie Le Pen said his granddaughter Marion Marechal-Le Pen would be the best person to stand in his place. “If she accepts, I think she would head a very good list [of candidates]. She is certainly the best, I am not going to say after me, but she is,” he told the publication. Jean-Marie Le Pen, who is FN’s honorary president, did not make it clear whether he would seek a place as a candidate on the list of his granddaughter for the Provence-Alpes-Cote d’Azur region. Marine Le Pen has tried to rid the party of its racist image.